This type of turbines is similar to Kaplan Turbines, except their shaft position which is not vertical, but either horizontal or inclined. Also there is no spiral case, and the discharge tube is straight. There are some differences between Kaplan and Bulb turbines. A Bulb turbine is suitable for lower heads (under 15 meters or 45 feet, down to 2 meters or 6 feet) than a Kaplan turbine. The maintenance for Kaplan units is easier because there is more space around the turbine and the generator. The Bulb unit is like a reversed U-boat (submarine), where everything is at lower limit. 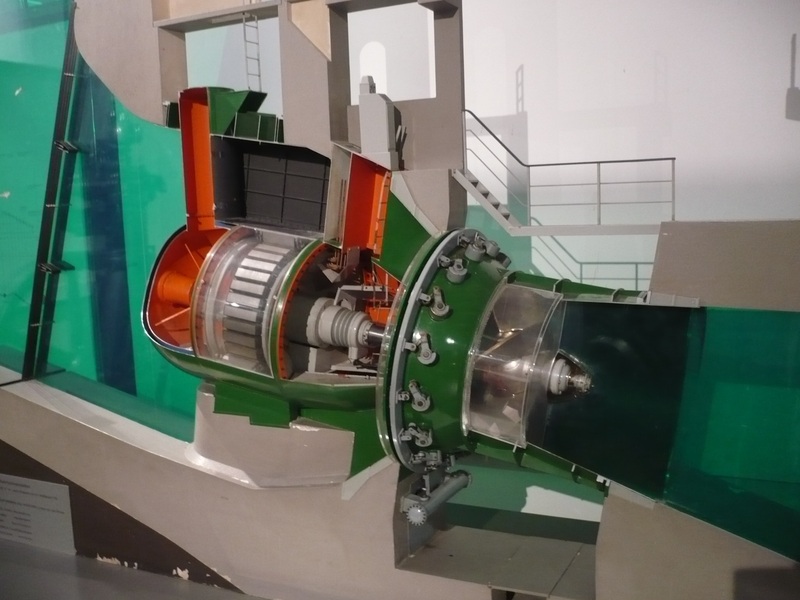 At Bulb units, the generator is into the same case with the turbine, meaning that they are both under the water, with a small access to the generator. At Kaplan units, around the generator is plenty of space, and the operator can observe some parts of the generator. The following video from HYDROTU.com is a great animation to emphasize how a bulb turbine is installed in the hydropower plant and eventually how this kind of unit generates electricity.